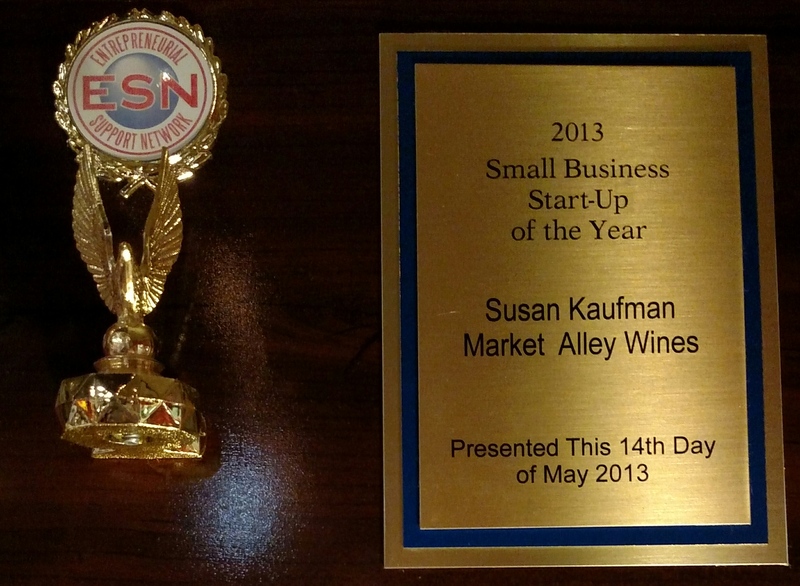 For her success at Market Alley Wines, Susan won the Small Business Start-Up of the Year award at the Small Business Day 2013 Award ceremony. Susan was completely unaware she was nominated for and had received the award and, as a result, did not attend the luncheon because she had to work at Market Alley Wines. Her husband, Paul, gave an incredible speech on Susan's behalf and accepted the award for her. Once she learned of the award, Susan was completely shocked because she did not think she would win such an award. The Small Business Start-Up of the Year award is given to small business owners in Knox, Warren, Henderson, and Mercer counties. This award was is sponsored by the Entrepreneurial Support Network, which is dedicated to the advancement of entrepreneurs, the promotion of innovation, and the development of an entrepreneurial culture. 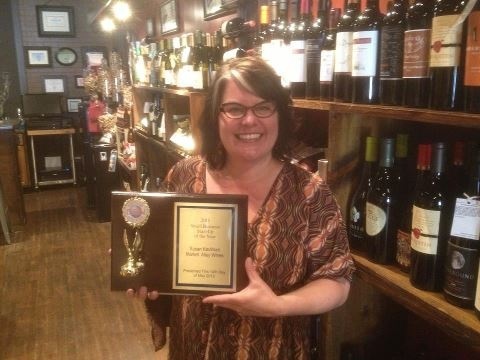 Susan proudly displays the plaque at Market Alley Wines. Being awarded the Small Business Start-Up of the Year award was a huge honor for her. Small Business Start-Up of the Year. Susan's plaque from the Small Business Start-Up of the Year Award. She was unable to attend the luncheon so her husband, Paul, accepted the award for her.